We're all excited to be throwing a #Disneyside at Home party next month, so we're getting in the mood with themed lunches. Both lunches are fairly similar, I've been playing around with my sandwich presses to get the look I want, which involves a good variety of breads. As much as I prefer the seeded grain breads, they really don't work well with sandwich presses, so honey wheat it is. 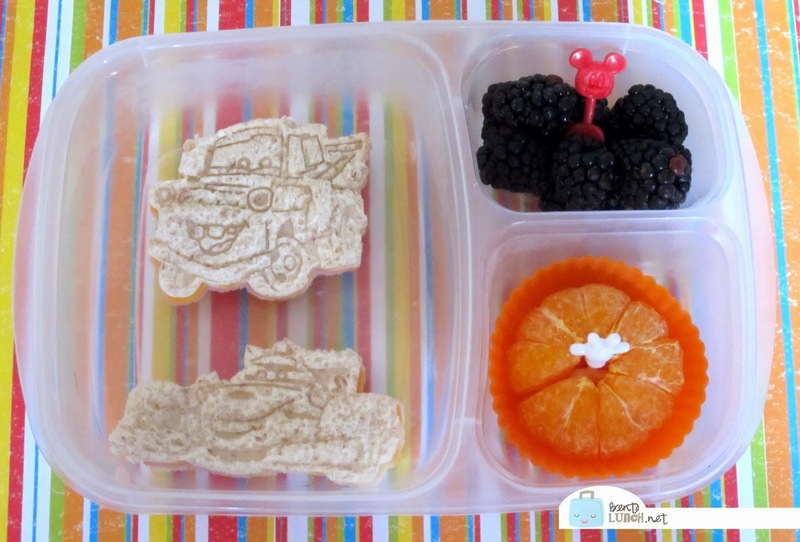 Ben picked our Cars presses, so he had Tow Mater and Francesco Bernoulli sandwiches with turkey and cheese. For side dishes, he had a Clementine and some blackberries. Since it was a school day, he also took a cheese stick, yogurt tube and granola bars for snacks. I love that he has multiple snack times! 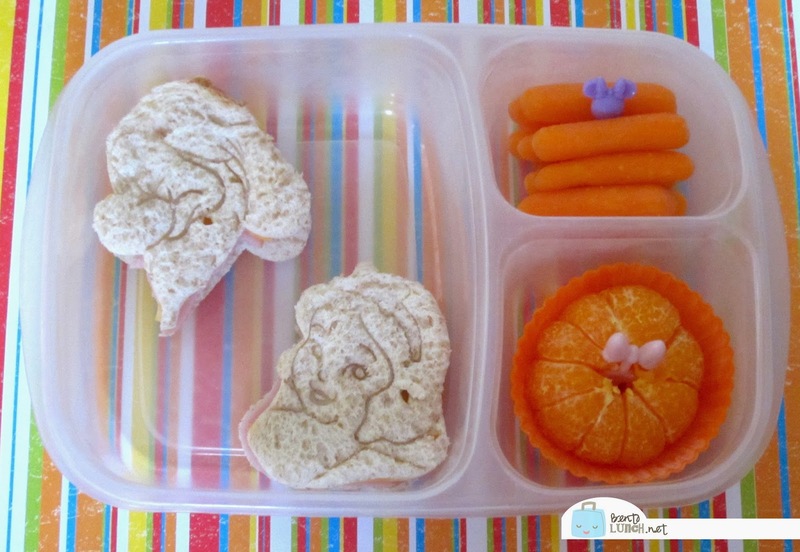 Faith opted for a nearly identical lunch, but with Snow White and Grumpy pressed sandwiches, a clementine and baby carrots instead of blackberries. She also picked the same snacks as Ben. Lunch is packed in our Easy Lunchboxes. The sandwich presses were from Williams Sonoma a couple of years ago.